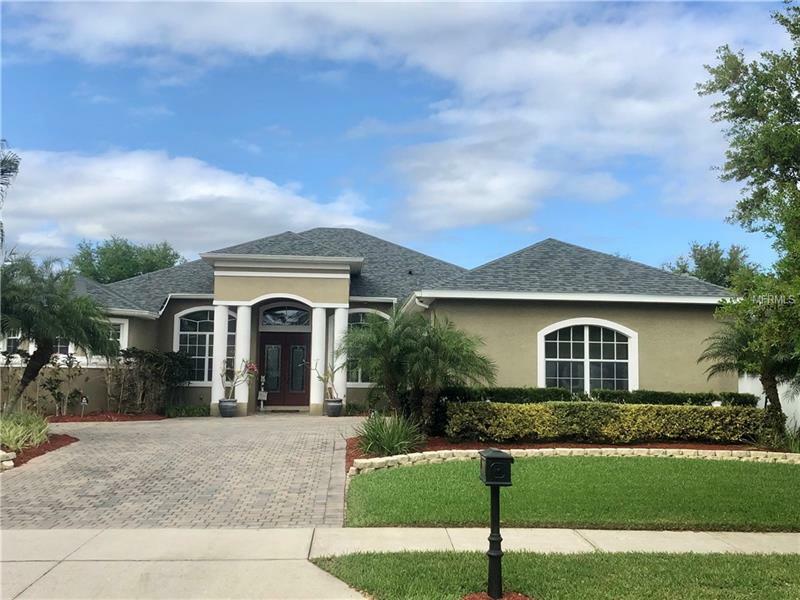 Gorgeous Pool home in Oviedo's highly desirable Live Oak Reserve. This home shows proud ownership . As soon as you arrive, You will instantly feel welcome throughout the home with rich colors and the fabulous 3-way split floor plan that is comfortable and functional. Large master bedroom, custom office/den/craft room, beautiful kitchen opens up to your family room overlooking your pool with plenty of yard left to enjoy your day as you relax on your backyard patio as you swim, sun bathe, or just enjoying a nice conversation with your family and friends. Additional highlights that are few of many include : new roof (2018), new pool equipment to include pump motor(2018), D>E> Housing and filters (2018) and control timer switch (2018), new Hayward Gas spa heater (owned) 2014, water heater (2016), A/C compressor (2014), A/C outside fan and motor (2016) A/C has always been serviced by Del Air twice a year since day 1, Kinnetico water softner and a termite bond which is transferable . The community also has community pool, volleyball courts, splash pad, tennis courts, basketball courts, and a baseball and soccer field , and of course your ability to walk the community and enjoy nature. Conveniently located near, UCF, shopping, the attractions and access to the airport!